Jesus answered, "You say correctly I Am a king. For this I have been born, and for this I have come into the world, to testify to the truth. Everyone who is of the truth hears My voice." Pilate said to Him, "What is truth? Amazingly John doesn’t record Jesus’ response to the age old question from Pilate. However he records the answer in John 17:17 when he heard Jesus praying to His Father for His disciples. Sanctification comes by sifting your thoughts through the Word of God. The Bible is not another book. It holds the Truth. Are you of the Truth? Jesus said if you are, you hear His voice. May we be satisfied with nothing less. One of the highlights of spring has been turkey hunting with my oldest son, John David. 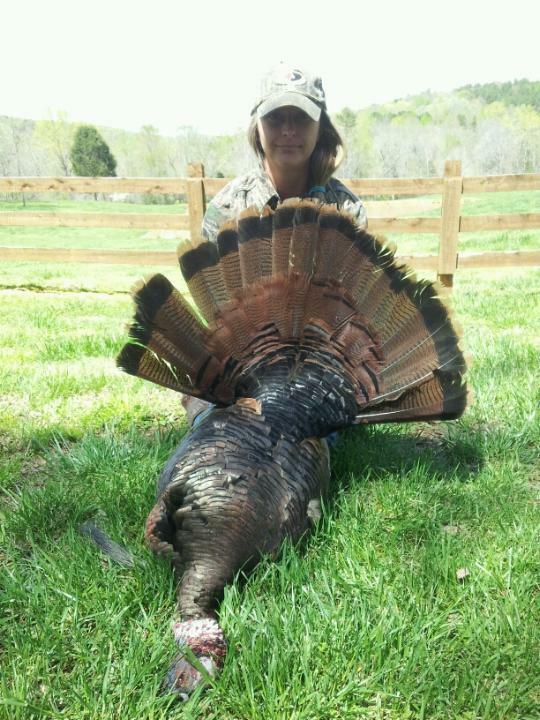 This is Roxanne, my precious daughter, and his incredible wife, with the results of a successful hunt yesterday. Congrats to Roxanne!